The word “sport” is connected to activities involving physical effort and skill. Currently, the number of internationally recognized sports totals 442. For our purposes of English improvement, this kind of sport is a noun. There is another sport that is a verb and it has nothing to do with physical activity, teams, or competition. To sport is to wear or display a distinctive or noticeable item. - I see that you’re "sporting" a new leather jacket. It’s very cool. - You will recognize Marco. He’s the one "sporting" a big handlebar mustache. - Pamela "sported" a red dress to promote Women's Heart Month. 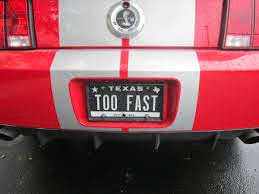 - Kurt's Mustang "sports" a personalized license plate that says “TOO FAST”. - Who’s that guy "sporting" the white suit? Oh, it’s John Travolta in Saturday Night Fever. What do you like to sport?